G-RAIL– High quality modular stainless steel and aluminium balustrade and railing systems by Glass & Stainless Ltd. As with everything we supply the G-RAIL systems have been tested by independent engineers to establish exactly which design, tube size, thickness, upright centres and fittings will be safest for your installation. Simple, effective and attractive solutions to enhance your surroundings, from posts with glass, rod or wire infills to frameless glass systems to create a modern contemporary surroundings. 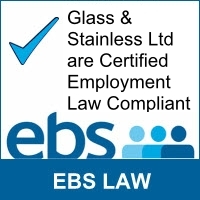 We provide a large range of Bespoke Glass Balustrades, Bespoke Stainless Steel Balustrades, Frameless Glass Systems and Installation services throughout the UK from our head office in Cheshire.